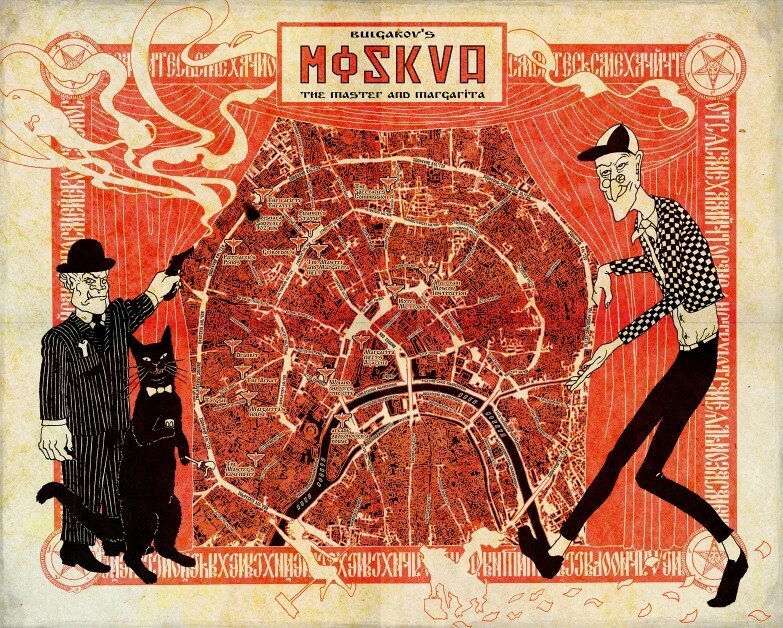 Map of Moscow featuring three members of Satan’s retinue, Azazello, Behemoth and Koroviev, from The Master and Margarita by Mikhail Bulgakov. I once lent my copy of the book to a stranger on a bus. When I saw her again some weeks later she’d had a quote from it – ‘Manuscripts don’t burn’ – tattooed on her lower back.